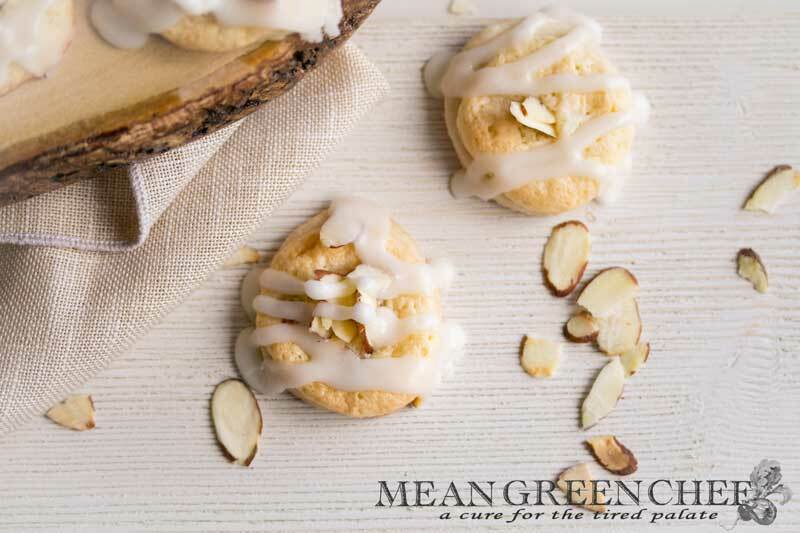 Melt in your mouth Almond Pastry Cookies, perfect for Easter Brunch and special occasions! These are truly WOW cookies, your family and friends will be asking for the recipe. A cookie base made of soft flaky pastry dough, topped with an easy almond filling and baked till golden brown. Then topped with sliced toasted almonds and a sweet icing drizzle. You can’t go wrong with this specially made cookie! 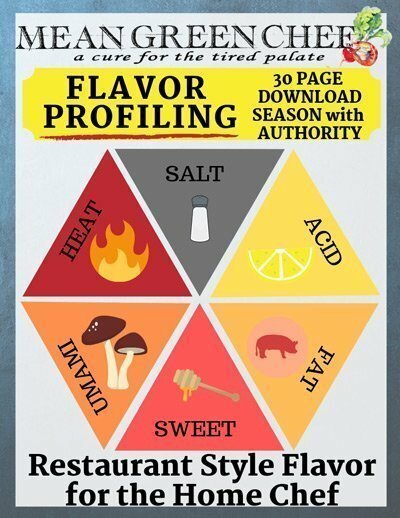 Read the recipe in full before beginning: Maybe a basic step, but it’s good to keep in mind. Knowing what ingredients you need, and steps that are coming up are another key to making sure everything runs smoothly. It only takes a couple of minutes and can save ingredients, time and your nerves! Use room temperature ingredients: Get in the habit of pulling refrigerated goods, such as butter, milk, eggs, etc. prior to baking. It’s one of the fundamental measures to flawless baked goods. Allowing ingredients to blend and form an emulsion that traps air. When baking in the oven, the trapped air expands and produces steam which makes baked goods rise and become fluffy. Not to mention it makes the job easier too! Have you ever tried to beat a cold stick of butter? Only use chilled ingredients if the recipe stipulates you should do so, such as pie crusts. Keep your oven door closed: Oven temperature can certainly ruin a recipe. One of the easiest ways to throw temperature off is by opening and closing the door constantly. Letting cool air in and interrupting the entire baking process, including how your goodies are rising. Turn your oven light on and watch through the window if you are able and if not then wait till your timer goes off. Quickly remove from the oven, close the door quickly, test for doneness. If more time is needed put back in the oven promptly. Roasted sliced almonds add a brilliant taste and crunch to this delectable cookie and a million other dishes. Find our recipe and the method behind the mad flavor here Pan Roasted Almonds! Melt in your mouth Almond Pastry Cookies, perfect for special occasions and pretty much any day treat! These are truly WOW cookies, your family and friends will be asking for the recipe. Based on a soft flakey pastry dough, topped with an easy almond filling and baked till golden brown. Then topped with sliced toasted almonds and a sweet drizzle, you can't miss with this perfect cookie! Servings: 50 small cookies approx. To make the pastry crust, stir together the flour, sugar, and salt. Mix in the butter and beat until combined. Add in water and continue to mix with your beater until pastry holds together in a ball. Roll out pastry to 1/4" thickness. Using a cookie cutter of your choice, cut your cookies. We used an egg cup to make these little bites and were able to make about 50 cookies. Place on a parchment-lined baking sheet and set aside. For the filling, beat the butter and cream cheese together until smooth. Add in the egg, powdered sugar, and almond extract. Beat again until combined and smooth. Add filling to piping bag and pipe a thin layer on top of each cookie. Bake for 20-22 minutes or until lightly golden brown. For the glaze, beat together sugar, butter, water, and almond extract. Once smooth and while pastry cookies are still warm, drizzle glaze over top and sprinkle with toasted sliced almonds. If you are looking for more cookie recipe ideas, then you might like these too! Grow your Blog with our directory to 100+ Link Parties! This looks so delicious! Thank you so much for sharing. As the weather gets cooler, I want to bake all kinds of new things. These looks SCRUMPTIOUS and I think I need to go to the store for all the ingredients STAT!! Yay for cookie season!